Doctrine • Get Bible Buddy doctrine is critical in learning the Word of God. Many times I have heard leaders of a church mention that doctrine is no big issue therefore they never teach doctrine. A Sunday School class mentioned one time that it didn’t matter about doctrine. We would like to set the record straight. It is ALL about doctrine. It is critical for the church to be taught doctrine and the correct doctrine. There is only one doctrine in reality and it is “the Lord’s Doctrine.” If anything does not agree with the Lord’s doctrine, what God communicated to mankind through His word, you have nothing. Here is where all the problems begin. You cannot understand doctrine unless you are in the right scripture. Someone may say, Buddy, there are 55 translations out there, which one do I know is the correct one? That in itself explains all the confusion in the modern day church. People setting in church with 2 or 3 different versions, people are going to receive the wrong information. I challenge you to study the complete background of biblical text, where it came from, and when it became corrupted. 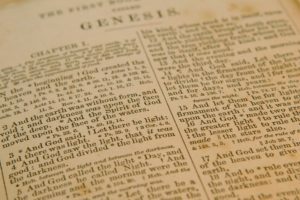 There is a historical background where all biblical text came from. We will attempt to share with you the condensed history of this background and you can see for yourself through personal study how it all began. We may be adding some more posts on this topic. We have only two lines of scriptural reference in the world. It is not 55 translations, but only two lines of text. There is the text from the Antioch line, and then there is the text from the Egyptian line. I’m attempting to share this with you in plain simplified English because I don’t know about you, but I like things simple. Keep it simple SAM! lol. Anyone that does not believe there is an authority better back up and re-think things. There has to be an authority somewhere, so where is it? One thing you can be certain about, is that God does not lie and cannot lie. The Bible tells us this. He has never lied therefore I believe what He says. Here is another quick mention and then I’ll explain why. ALL modern day bibles have to come from somewhere so where do they come from? They come from the Authorized King James Bible. Now all the naysayers will say, oh no, that’s not correct it began earlier than that from the originals in the Greek and Hebrew. Only part of your answer is correct. Yes on the Greek and Hebrew but no on the originals because there is no such thing as the “originals.” Why, because they never existed in the first place. To make a very long and complicated lesson shorter, ALL corrupt versions came from the Alexandrian line of text out of Egypt, more precisely Alexandria Egypt, where the world’s largest library was at one time. 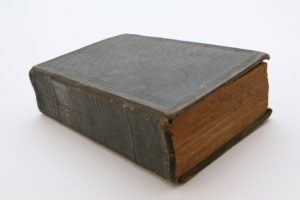 I’m talking “before” the 1611 Authorized King James Version. Then you have the Antioch text line which spawned the Massoretic text which was the very text that Jesus and the apostles read from. This line of text was taken from Egypt’s master library by some so called “scholars” and corrupted. This corruption is still involved with the majority of modern day churches because the text has been “added too” and “taken away” from by these brilliant scholars. Did you know the corruptions you see today started in the 18th and 19th centuries. 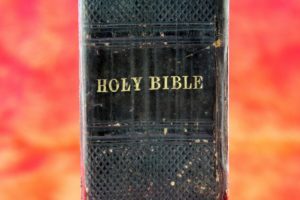 The Authorized King James Bible has not been corrupted. We even hear it is full of mistakes. It is mistake free. The only changes in it are a few grammatical changes to make it better understood, but the context of scripture has not been tampered with. It is the Inspired and Preserved Word of God. You can believe it. Here is another problem. People these days will believe a lie before they will the truth. They believe a batman comic book before they believe the Word of God. Any questions or comments you may have for Bible Buddy, please let me know in the comment section. If we don’t have the answer we will find the answer. Our purpose is to help you any way we can. Bible Buddy has over 20 years of teaching experience along with different approaches for the soul- winning experience. We have seen literally thousands give their life to Christ. We also offer thousands of products and gifts from “The Jerusalem Gift Shop.” There can be a one day delivery for any item. These products come directly from Jerusalem and the town of Bethlehem. Click to visit the store HERE! Thanks and we wish you well! 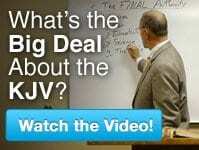 Please watch the video episodes of “What is the big deal with the KJV”, and the video on custom ministry website below. Your post is very engaging and made me stop to think about the Bibe and what it means to regular people in general and what it means to those who think more spirtually than others. As a Christian; my faith and belief is firmly based on the authenticity and authority that resides in the Bible being God’s inspired word! Which means; it contans the true teachings from God, when we read the text, God’s Spirit guides us into the right frame of mind, if the heart is pure! With that said; I agree that people should research all the history on the different transaltions and make an attempt to undersstand 16th century English to be able to understand the King James Bible. It is the best literal translation that I have seen when comparing to the Interliner translation tool on Biblebub and studying individual scriptures. One thing I have found is that when people are hungry for the truth; it does not matter which translation they use, as long as you read the whole book, this prevents someone from taking things out of context. Thanks for post it was a pleasure reading. I appreciate the comment and encourage you to continue the study of the history or two lines of text, the Antioch and the Alexandrian. That goes beyond the King James but explains the King James. I can supply a chart that shows the complete breakdown of where corruption started. Thanks and good study. Please send me the chart you have of where the corruption started, it would be interesting to take a closer look at the material. What are the major differences that you see from the two lines in the modern day churches? If you notice all modern day versions are from the Alexandrian Line and the KJB is from the Antioch line. What happened originally the corrupt version folks borrowed the text from the Antioch and then corrupted it. You can see on the chart when that happened. That is why the KJB can be the only inspired and preserved Word. Enjoy!